Info: We start at 6pm! Come early, party longer! Supported by Psyhead Community Bangkok !! We start at 6pm! Come early, party longer! 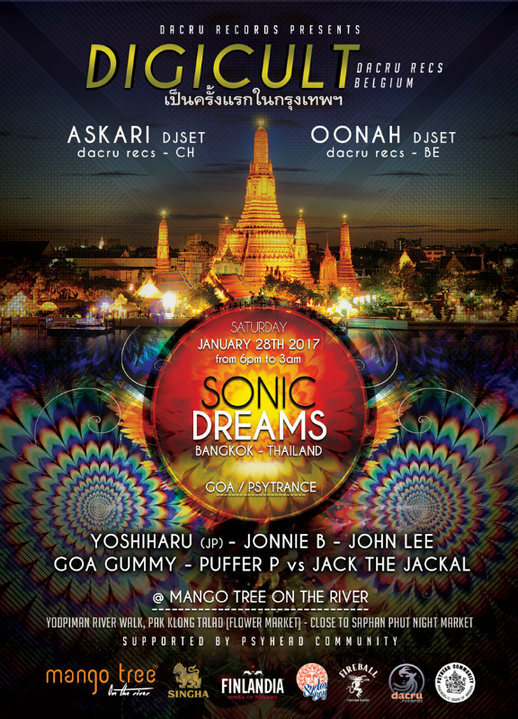 Supported by Psyhead Community Bangkok !! Mango Tree On The River! 100 free DigiCult CDs giveaway!